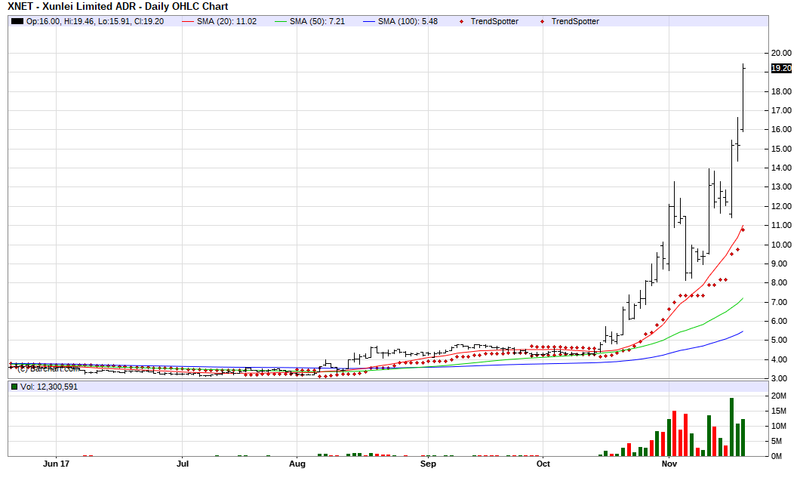 The Chart of the Day belongs to Xunlei (XNAT). 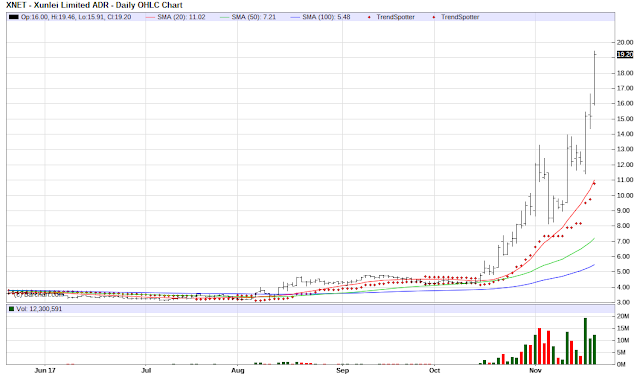 I found the Chinese Internet software stock by using Barchart to sort today's Top Stocks to Own list first for the highest Weighted Alpha, then used the Flipchart feature to review the charts for consistent price appreciation. Since the Trend Spotter signaled a buy on 10/16 the stock has gained 298.12%. The individual investors on Motley Fool that are following the stock vote 5 to 0 that the stock will beat the market. The is a very highly speculative issue. It's recent rocket ride is not based on analysts recommendations or projections. I would not be a bit surprised to find this to either be an unannounced buy out or a pump and dump. Your guess is as good as mine --- just a guess!